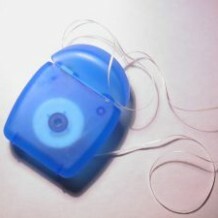 Home » blog » 10 Great Things to Do with Dental Floss! Floss is an essential part of your oral health care routine, along with brushing at least twice a day for at least 3 minutes and visiting Evergreen Dental, your Surrey dentist, for your regular oral health care checkup every six months. Want to know more oral health care tips and tricks? Subscribe to the Evergreen Dental blog!